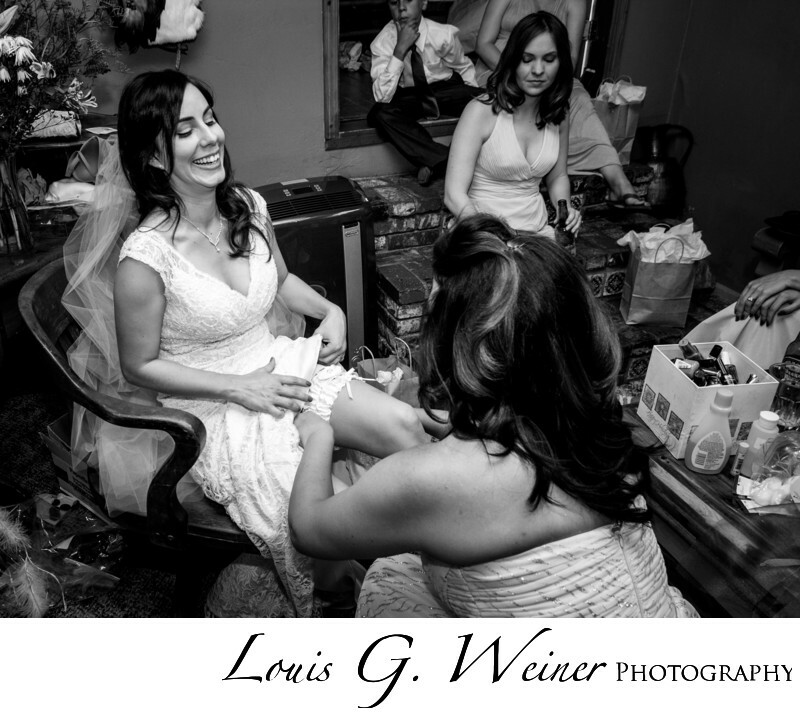 Getting ready with the bridesmaids, help with the garter. Having fun together with people you love is hard to beat. Gold Mountain has very nice rooms for getting ready, this room comes with a large jacuzzi tub. Gold Mountain is an excellent location for a wedding or any event. Located in the San Bernardino Mountains, it is a beautiful forrest area with a diverse landscape. From pine trees to rocky tundra you have so many choices of backgrounds and locations for your photographs. Having photographed up here for over 15 years I can find you what you are looking for. Betsy and Peter are fabulous hosts and will help with every step of you wedding planning if you would like. Betsy will help you keep your wedding day on track and moving smoothly so you do not have to stress. This is a location I enjoy photographing at every time I come. I highly recommend Gold Mountain for all your events, wedding or Corporate or family reunion or even just a weekend in the mountains.